This is socialist code for the takeover Guatemala akin to Cuba, Venezuela, and Nicaragua. Fidel Castro created the America Department to export violent communist revolution throughout Latin America. Barack Obama changed the Cuba policy of his 10 immediate predecessors to embrace Castro. His State Department sided with the successors to Castro-supported insurgents and anti-American totalitarians throughout Latin America, including in Guatemala. The actions of these Democrats and the State Department permanent bureaucracy regarding Guatemala fit with the socialist rise in the United States that has Senator Bernie Sanders (I-VT) in the Democratic mainstream. This new mainstream includes freshmen representatives such as Omar and Alexandria Ocasio-Cortez (D-NY). The sanctions the Democrats want applied stem from the 2012 Magnitsky Act. The US Congress passed the law to ban travel and freeze assets of Russians involved in the death in prison of tax lawyer whistleblower Sergei Magnitsky. His friend and client, financier Bill Browder, was the driver behind this legislation—expanded in 2016 to apply to human-rights violators anywhere. The Democrat proposal would sanction “Guatemalan officials who have engaged in corruption, obstructed justice, misused US-provided equipment, disobeyed Guatemalan Constitutional Court [CC] rulings, and interfered with the work of the US government.” None of these charges have merit regarding President Jimmy Morales and his cabinet. Magnitsky sanctions should apply to the very people the Democrats defend. In 2016, then US ambassador Todd Robinson illegally intervened in the appointment process of magistrates to the CC for its 2016-2021 term. 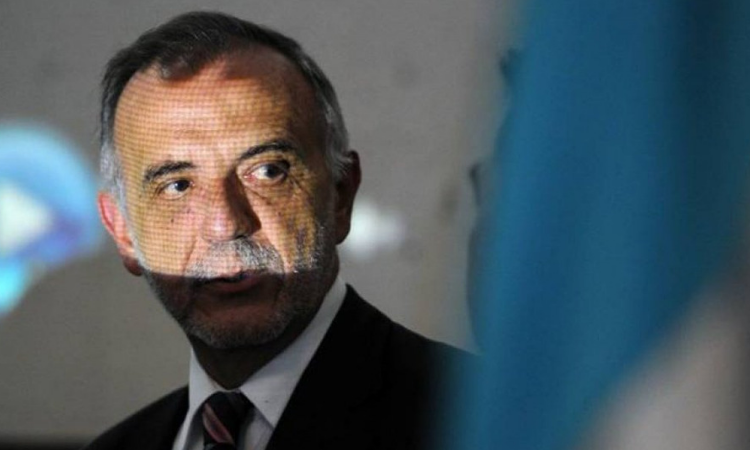 He threatened leaders of Guatemala’s congress if they didn’t appoint Gloria Porras. The threats carried weight because the ambassador worked closely with the International Commission Against Impunity in Guatemala (CICIG) and former Attorney General Thelma Aldana who together had jailed political opponents without evidence and in violation of law. On the CC, Porras became part of the US embassy-CICIG-Justice Ministry axis. Congressman Fernando Linares reported illegalities in the appointment process and voted on the losing 145-6 side. Linares also stated that Porras told other magistrates they would be subject to CICIG investigations if they didn’t rule as Robinson wanted. The CC under Porras’s control has issued illegal rulings that have harmed Guatemalan and US interests. She has protected illegal armed groups that attack businesses, invade land, and deny police access in border areas, exacerbating the lack of state presence that facilitates the flow of illegal migrants and drugs into Mexico and to the United States. The CC has usurped executive and legislative powers and created a judicial dictatorship. This is the formula socialists use to gain complete power without being subject to constituent approval. The most egregious example of CC criminality is the way the magistrates granted themselves immunity from prosecution. Some former drafters of Guatemala’s constitution filed criminal charges against CC magistrates. The charges went to Congress as the law requires, but then the CC ordered all authorities not to process the case. The congressional commission incorrectly stopped its constitutionally mandated investigation. Contrary to public evidence, Leahy says the CICIG has “enabled courageous Constitutional Court magistrates to defend Guatemala’s weak judicial institutions. Democrats have promoted the unsubstantiated charge that President Donald Trump illegally conspired with Russia in the 2016 election. There is evidence, however, that Democrats have supported illegal activity by Russia in the case of the Bitkovs, a Russian family in Guatemala who fled Vladimir Putin’s persecution. The Bitkov case was the subject of a hearing of the Helsinki Commission on April 27, 2018, and was raised in the House Foreign Affairs Committee on July 11, 2018. The State Department and Democrats, such as Leahy, defend the CICIG and have tried to keep it running without the scrutiny warranted by the charges aired against it. Ironically for the Democrats, Bill Browder denounced illegal CICIG actions with Russian bank VTB, a co-plaintiff against the Bitkovs, represented by one of Leahy’s “courageous [CC] magistrates.” The VTB president is under sanctions by the US Treasury. Alfonso Carillo, a CICIG lawyer, represents Gazprombank, which also acted against the Bitkovs and whose chairman is also under US Treasury sanctions. Carillo asked Browder to cancel the Helsinki Commission hearing at which Browder was the principal witness. Senator Thomas Carper (D-DE) recently led a delegation of Democratic members of Congress to Guatemala. Together with US Ambassador Luis Arreaga, a Morales opponent and CICIG proponent, they met with and “pressured President Morales to urge him to pursue policies that protect human rights.” They also met with Attorney General Consuelo Porras and Special Prosecutor Against Impunity Francisco Sandoval. These Democrats and our embassy work against Morales, who in the 2015 election defeated a former guerrilla and vice president of Socialist International. Instead, the US officials work with public officials who violate the law to promote a socialist agenda. The Democrats, for example, are helping their socialist allies steal the June presidential election to complete their takeover of Guatemala, which will send more illegal migrants and drugs to the United States. Leahy and colleagues are pressing for Guatemala to return donated Jeeps J8 they incorrectly claim were misused by the government. The Jeeps serve in counter-narcotic operations. Secretary of State Mike Pompeo has praised Guatemala’s cooperation in this area. As with their opposition to Trump’s wall, Democrats put socialist politics above narcotics interdiction. Democrats have suppressed information about CICIG criminal activity and continue to support criminal behavior in Guatemala by a majority of its CC magistrates. This strategy is part of a socialist takeover of Guatemala orchestrated by the Obama administration and continued by the rogue US embassy in Guatemala. For our own benefit, we need more Republican members of Congress and the Trump administration to support Guatemala’s struggle to be free from the corruption of socialism. The immediate removal of Ambassador Arreaga would be a start. Democrat actions in Guatemala coincide with and shed light on the same thing at home. They have suppressed information regarding the Hillary Clinton email investigation, the framing of candidate Trump, and the undermining of President Trump at the highest levels of the Obama administration. To save US democracy and not impose socialism on friendly countries and ourselves, we need full disclosure and prosecutions of criminal US officials at home and in Guatemala.